Here comes KAOS Spectrum TC Kit! KAOS Spectrum from Sigelei is a unique dual 18650 batteries TC kit with 230W Spectrum MOD and 3ml Kaos sub ohm tank. Together with advanced TC/VW modes and 6-color LED light screen bezel, KAOS Spectrum Kit brings a fantastic vaping for you. 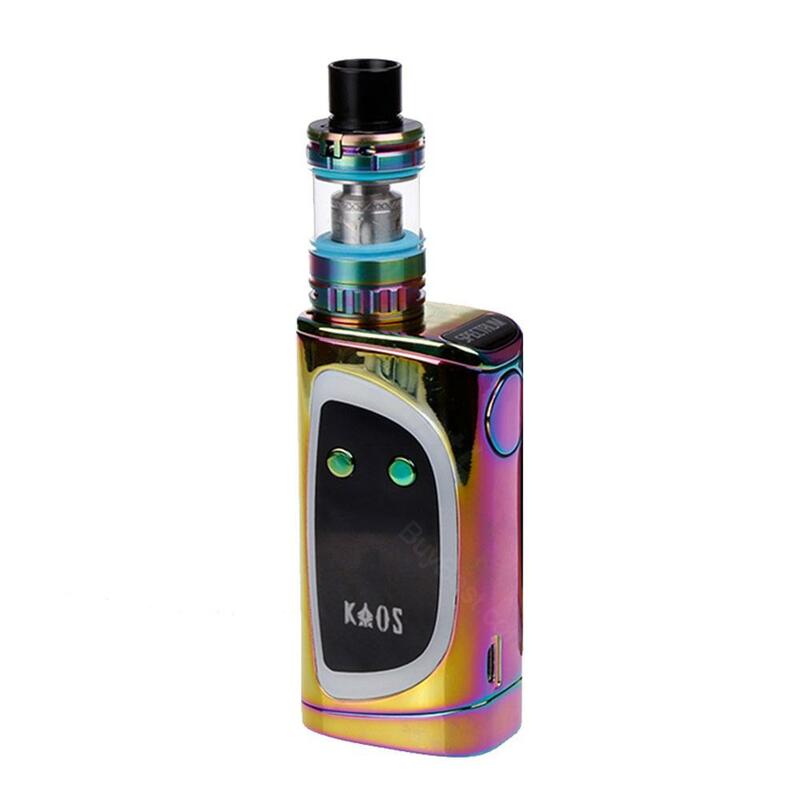 Composed of Spectrum MOD 230W and 3ml KAOS tank, the KAOS Spectrum 230W Kit is a high-end and compact TC Kit made of high-quality zinc alloy material with fashionable appearance. The Spectrum Kit is powered by dual 18650 batteries and fires up form 10 to 230W of output with good Power/TC/TCR/TFR function. Moreover, Spectrum comes with customized 6-color LED light screen bezel to bring you a coll visual enjoyment. Added the KAOS subohm tank featuring 3ml e-juice capacity and hinged top-fill design, KAOS Spectrum is absolutely a good vaping device for vapers. • No e-juice and 18650 lithium-battery. KAOS Spectrum TC Kit got me so pleased, it's checked, 100% genuine. KAOS gefällt mir sehr. Hat aber zu wenig Volumen für stark raucher. Aber auf der arbeit perfekt. KLASSE.